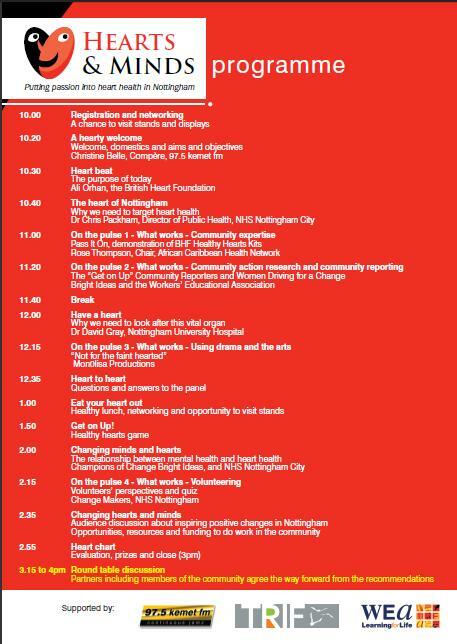 Bright Ideas Nottingham presents British Heart Foundation Hearts and Minds Conference. This event is on the 30th June 2011 at the Nottingham Contemporary. Email Karen at karen@brightideasnottingham.co.uk for a booking form.